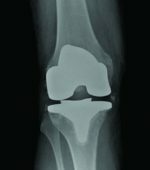 Two-part patella fracture with knee osteoarthritis can be treated as a single stage procedure for the better outcome. Department of Orthopedics, Sunshine Hospitals Sunshine Hospitals, Secunderabad, Telangana, India. 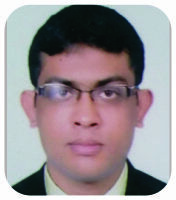 Department of Orthopedics, Maxcure Hospital, Madhapur, Hyderabad, India. C/203, Parkview Eden Apartment, Science City Sola Road, Ahmedabad – 380060, Gujarat, India. Introduction: Osteoarthritis knee associated with periarticular fractures (femur, tibia, or patella) in geriatric patients is a treatment challenge for orthopedic surgeon. In geriatric patient, early mobilization is key for a better outcome and to prevent immobilization related complications. Hence, this case report is important for all orthopedic surgeons. Case Report: We had a 65-year-old male patient who came for the treatment of his patella fracture and deformity of both knees. Conclusion: Elderly patients who sustained a patella fracture can be treated with single stage primary total knee replacement and fixation of patella fracture. There is no need for two stage surgery. 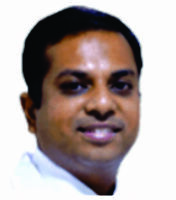 Rehabilitation and pain relief along with mobilization is better with single stage surgery. 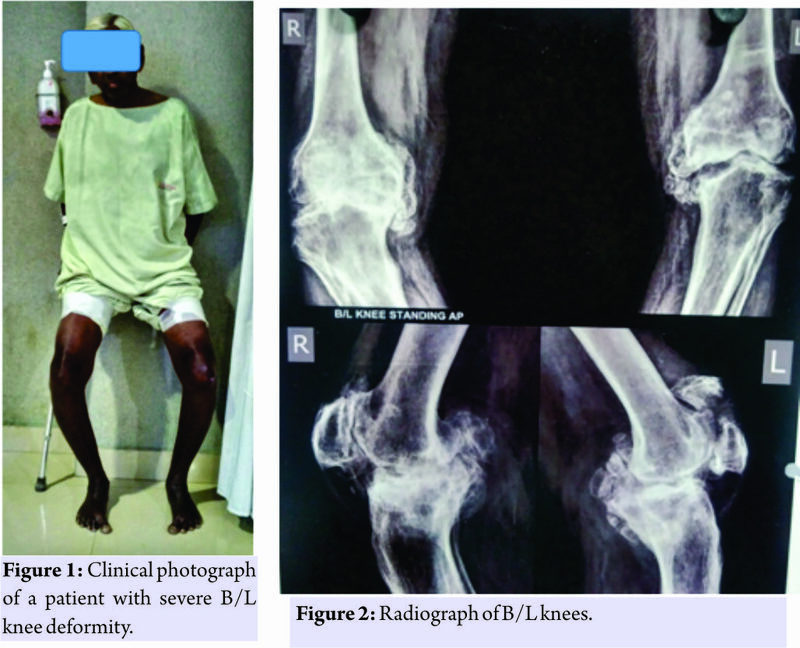 Keywords: Patella fracture, single stage fixation, total knee replacement. Total knee replacement (TKR) is one of the best rewarding surgeries in the 21st century for osteoarthritis (OA) knee, but OA associated with a periarticular fracture is a complex situation. It can be treated with two ways: First method is single stage fixation of patella fracture along with TKR. Second is a two-stage fixation in which fixation of patella fracture by any appropriate method prior and later do TKR once the patella fracture is united. Considering this option has many disadvantages in case of geriatric patients, for example, 1. 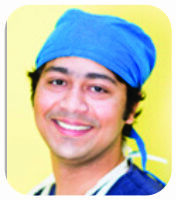 The patient has to sustain stress of two surgeries which increases the anesthesia complication in this age Group. 2. It increases the risk of infection and wound healing problems in two staged procedure. Intact quadriceps mechanism is prerequisite for TKR, so without restoring extensor mechanism, one cannot perform TKR. The decision to do in a single stage or staged procedure is matter of choice. We suggest that it should be done in the same sitting as a single stage procedure and we present a case report in favor of it. We had a 65-year-old male who came for the treatment of his patella fracture and deformity of knee. His knee society score was 70 for the left knee and 78 for the right knee. It was known that he was having multiple comorbidities such as hypertension and coronary artery disease. There was a history of percutaneous transluminal coronary angioplasty 1 year back. He had a history of fall from two wheelers 1 month back, and he sustains injury to his left knee. The patient was having pain, swelling, but he had not taken any treatment for it. Patient neglected the injury and was able to walk with the support of walking aid. On examination, the patient was having bilateral knee Varus 20°9 (Fig. 1) and fixed flexion deformity of 30°. Active straight leg raising was not possible on the left side. Range of movement of left knee was possible from 30 to 90°. Radiographs revealed a transverse fracture of the patella with Grade 4 osteoarthritic changes on the left side and arthritic changes on right knee also (Fig. 2). Other findings of blood investigations were normal. We decided to go for single-stage procedure with fixation of patella fracture and TKR. Anterior midline incision was taken, and medial parapatellar arthrotomy was done. On extensor side the retinaculum was found intact intraoperatively, so we first proceed with TKR. Calcified medial meniscus was excised, and posteromedial tibial defect was taken care with downsizing of the tibia. After through irrigation with normal saline and debridement of soft tissue from articular side of patella fracture, the fracture ends were approximated. Reduction held with patella pointed reduction clamps and two parallel K wires. An 18 G SS wire was used for tension band wiring of patella. The extensor retinaculum was reinforced with absorbable sutures (Fig. 3 and 4). 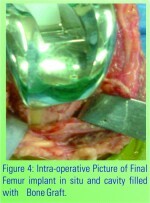 The incision was closed in layers without a suction drain. Post-operative radiographs showed an acceptable reduction of the fracture and an acceptable TKR. In post-operative period patient was allowed early knee mobilization up to 90°, and full weight bearing was allowed with the help of walking aid. At the end of 3 months patient achieved range of motion 5–110° and his knee society score improved to 90. The patella fracture united completely without any complication (Fig. 5). Patella fracture can be treated routinely with either tension bend wiring with SS wire, cannulated screw fixation or use of non-absorbable suture material. 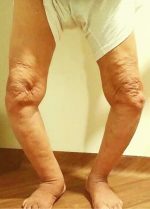 Out of which in some fixation it may require to immobilize patella which in geriatric patients can lead to quadriceps wasting. Prolonged immobilization can lead to urinary and pulmonary complications, bed sores, and osteoporosis. Hence, in case of geriatric patients, it is advisable to mobilise the patient early. Many authors have reported advantages and better outcome of performing single stage TKR and fracture stabilization in elderly patients with OA knee joint who sustain wither distal femur or proximal tibia fracture or patella fracture. We applied same treatment protocol in our patient. Considering his geriatric age and multiple comorbidities which may lead to increase anesthesia risk or problems related to wound healing and infection we considered to do single stage arthroplasty with patella fracture fixation. Many techniques have been described for patella fracture fixation. As the TBW principle says it converts divergent forces into compressive forces, we considered the use of tension band wiring for our patient. With TBW post-operative early knee mobilization is possible and better gain of a range of movement is possible. Furthermore, it gives more stability, and secure fixation compares to non-absorbable material in the transverse middle 1/3 fracture patella. Nau et al. studied and suggested fair to good outcome in patients with the distal femur and proximal tibia fracture treated with primary TKR. They suggested the use of constrained hinge implant in this patient’s treatment. 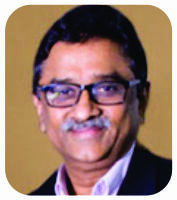 Surendran et al. 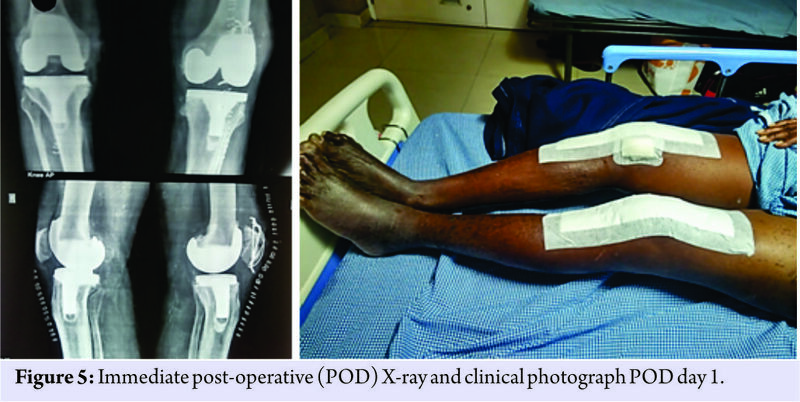 in their case report treated the osteoarthritic knee with patella fracture patient with non-absorbable material and had achieved good outcome. Houdek et al. suggested patients undergoing primary total knee arthroplasty (TKA) following a patella fracture have similar overall revision-free survival compared to those undergoing TKA for OA at 15-year. At same time Houdek et al. in there another study showed that TKR following post-traumatic distal femur or proximal tibia may not give good outcome. However, old fractures with deformity of femur or tibia may or may not affect the outcome. Pre-existing femoral or tibial extra-articular fracture deformity may adversely affect the results of TKA. This deformity can be addressed with asymmetrical intra-articular resection or with a correctional osteotomy performed before or at the time of primary TKA. Marczak et al. in there study showed that while doing TKR with previous femur or tibia fractures when deformity is severe semi-constrained or constrained, implants with extensions may be necessary. While patients undergoing TKA after a tibial plateau fracture have an increased rate of complications, the 15-year results indicate that subsequent survivorship is similar to that of patients undergoing TKA for degenerative arthritis if early complications can be avoided as evidenced by Abdel et al. . The location of post-traumatic deformity and compromise of the soft tissue envelope influence the pain and functional outcomes of total knee arthroplasty for post-traumatic arthritis as suggested by Shearer et al. . However, there is increased the risk of early and medium-term revision after post-fracture total knee arthroplasty as showed by El-Galaly et al. . Patella fracture can occur after TKR also in that case either TBW or plate fixation can be done as showed by Sa-Ngasoongsong et al. . In a case report, if patella fracture happens after patella component replacement, in that case, it may require a revision or resection of the patella, a patelloplasty or total patellectomy in displaced fracture as suggested by Roth et al. in their study. 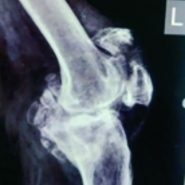 We present a case report of an elderly patient with multiple comorbidities and OA knees who sustained a patella fracture and was treated with single stage primary TKR and fixation of patella fracture. 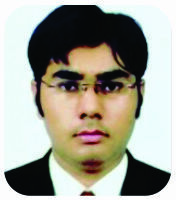 The main aim of surgery was to avoid prolong immobilization and multiple number of surgeries. The better outcome in outpatient departments treated with one stage fracture fixation with TKA shows this method can be applicable to other patients also after explaining possible risks to patients. This case report is important to be shared with not only arthroplasty surgeons but also with trauma surgeons because both of them can face a similar situation on the same sitting. Simultaneous TKR and patella tension band wiring are important techniques for early pain relief and immediate mobilization. This case report gives the idea that in case of elderly patients with patella fracture and knee deformity simultaneous single stage fixation with TKR will give better pain relief, less complication, and early mobilization rather than two-stage surgery. Total knee arthroplasty post patella fracture can give good results as compared to primary TKR, but it may not give good outcome in patients with distal femur fracture or proximal tibia fracture who undergo TKR at the early or late stage. 1. Nau T, Pflegerl E, Erhart J, Vecsei V. Primary total knee arthroplasty for periarticular fractures. J Arthroplasty 2003;18:968-71. 2. Surendran S, Pengatteeri YH, Park SE, Gopinathan P, Chang JD, Han CW, et al. Osteoarthritis knee with patellar fracture in the elderly: Single-stage fixation and total knee arthroplasty. J Arthroplasty 2007;22:1070-3. 3. Houdek MT, Shannon SF, Watts CD, Wagner ER, Sems SA, Sierra RJ, et al. Patella fractures prior to total knee arthroplasty: Worse outcomes but equivalent survivorship. J Arthroplasty 2015;30:2167-9. 4. Houdek MT, Watts CD, Shannon SF, Wagner ER, Sems SA, Sierra RJ, et al. Posttraumatic total knee arthroplasty continues to have worse outcome than total knee arthroplasty for osteoarthritis. J Arthroplasty 2016;31:118-23. 5. Marczak D, Synder M, Sibiński M, Okoń T, Kowalczewski J. One-stage total knee arthroplasty with pre-existing fracture deformity: Post-fracture total knee arthroplasty. J Arthroplasty 2014;29:2104-8. 6. Abdel MP, von Roth P, Cross WW, Berry DJ, Trousdale RT, Lewallen DG, et al. Total knee arthroplasty in patients with a prior tibial plateau fracture: A Long-term report at 15 years. J Arthroplasty 2015;30:2170-2. 7. Shearer DW, Chow V, Bozic KJ, Liu J, Ries MD. The predictors of outcome in total knee arthroplasty for post-traumatic arthritis. Knee 2013;20:432-6. 8. El-Galaly A, Haldrup S, Pedersen AB, Kappel A, Jensen MU, Nielsen PT, et al. Increased risk of early and medium-term revision after post-fracture total knee arthroplasty. Acta Orthop 2017;88:263-8. 9. Sa-Ngasoongsong P, Chulsomlee K, Wongsak S, Suphachatwong C, Kawinwonggowit V. The use of dual reconstruction plates for failed fixation of patellar fracture after total knee replacement: A Case report. Malays Orthop J 2016;10:52-5. 10. 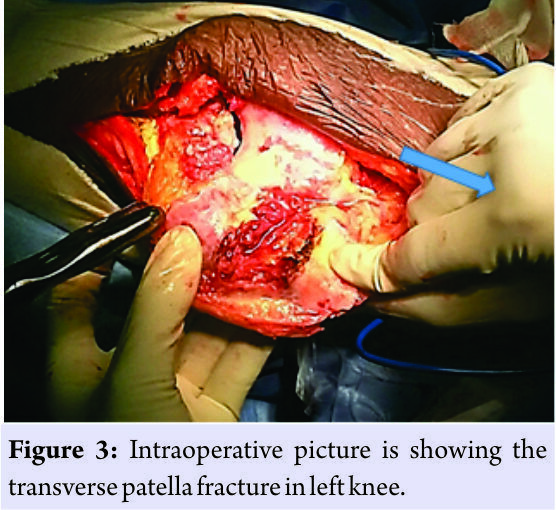 Roth A, Ghanem M, Fakler J. Patella fractures in knee arthroplasty. Orthopade 2016;45:416-24. How to Cite This Article: Patel K H, Reddy A V G, Eachempati K, Muralidhar S, Jungele A. A Patient with Osteoarthritis Knee and Prior Patella Fracture: Single Stage Fixation and Total Knee Arthroplasty: A Case Report. Journal of Orthopaedic Case Reports 2018 Jan-Feb; 8(1): 67-70.